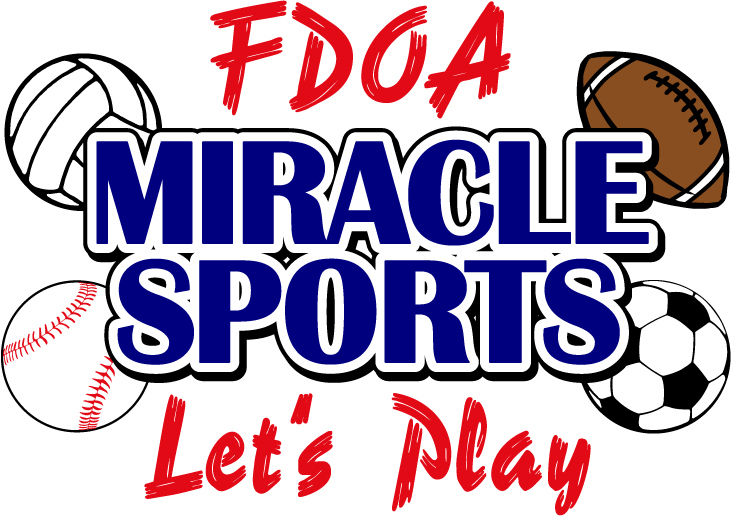 Miracle Sports of Tallahassee provides Access to Athletics for people of all abilities. Whether it’s rounding the bases, scoring a touchdown, or driving the lane, we adapt our games so that anyone can participate, and be successful. The majority of our seasons are played on the Miracle Field, in Messer Park; this field provides a barrier free arena for our athletes. Our game days are rich, inclusive environments where our athletes and volunteers play together and encourage one another. 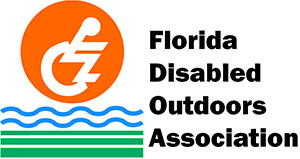 The dream of having a Miracle Field in Tallahassee was born in 2006 when David Jones, President of the Florida Disabled Outdoors Association (FDOA), watched a Miracle League baseball game in St. Petersburg, Florida. With the help of the City of Tallahassee, Jim Wylie, past Lieutenant Governor of the Kiwanis and local Kiwanis Clubs, City of Tallahassee – Parks, Recreation and Neighborhood Affairs, Leon County, sponsors and in-kind donations from Genesis Group, Sandco, and C.W. Roberts Asphalt and Paving, more than $400,000 was raised for the completion of the Miracle Field. In addition to the money, many man hours went into making the Miracle Field a reality, including the countless hours spent by FDOA Board Member, David Lowe, as the project coordinator. David Lowe worked in conjunction with the City of Tallahassee – Parks, Recreation and Neighborhood Affairs staff and other partners to ensure the project was to be completed on time. On November 5, 2008, the Miracle Field was dedicated. The Miracle Field of Tallahassee is located at: James Messer Sports Complex, 2899 Jackson Bluff Road, Tallahassee, FL 32304. The Miracle Field of Tallahassee is a rubberized surface field that allows accessibility to people of all abilities to play a variety of sports without limitations. There is accessible parking as well as accessible restrooms located at the facility. The dugouts are accessible and there are bleachers available for family and friends. Water coolers are located in each dugout for the teams. Players are what this program is about. Everyone plays in an inclusive recreation environment and any reasonable accommodations needed are made to ensure the safety and full participation of each player. All abilities are welcome. Registration forms are available on the website. Scholarships are available through the generosity of the Kiwanis Clubs of the Big Bend; please see scholarship form for more information. The program is open to ages five through adult. Players are put on youth and adult teams based upon age and skill level. Each player is looked at on a case by case basis to decide which team is a good fit for them. Buddies are the volunteers that help with Miracle Sports. This is the perfect opportunity for individuals, school groups, churches, families, and the community to get involved and make a difference in someone’s life. The volunteer form is located under the forms section. Volunteering with this program will also count for students who are looking for community service hours. Businesses, organizations and sports teams are welcomed to come out and volunteer as a team together. The public is welcome to host activities and events at the Miracle Field of Tallahassee. The City of Tallahassee Parks, Recreation and Neighborhood Affairs handle the scheduling of events for the Miracle Field. Contact Willie Ellis at 850-891-FUNN or go to http://talgov.com/parks/index.cfm for more information. Organizations such as Special Olympics and Leon County Schools have utilized the Miracle Field for their activities. Sponsors are what keep Miracle Sports going. Donations from our community continue to provide the endless opportunities this program offers. Donations go towards the players’ uniforms which consist of a jersey and hat along with equipment, supplies, awards and insurance for every player.